Libraries need not be a place of boredom and dulness, but rather a place of wonder and admiration. After all, libraries pay homage to human knowledge and they are invaluable when it comes to studying. Whilst it is the books that make a library, the surrounding environment is equally important. 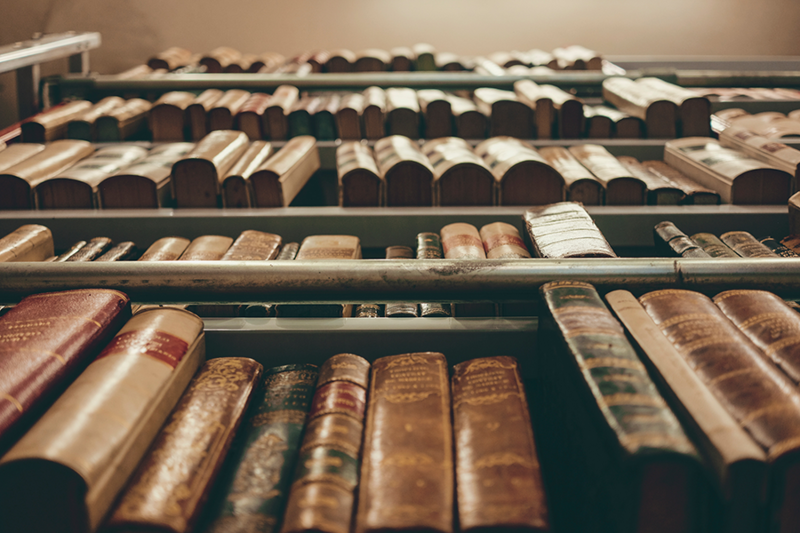 We’ve compiled a list of 6 visually stunning libraries to help you work that little bit harder. In 2017, The mammoth 360,000 square-foot, state of the art Tianjin Binhai Library opened containing 1.2 million books. The library itself is an architectural photographer’s dream, with five stories and floor to ceiling shelves. Many of the lower shelves double up as seats, whilst the higher up shelves have books painted on to continue the floor to ceiling illusion. 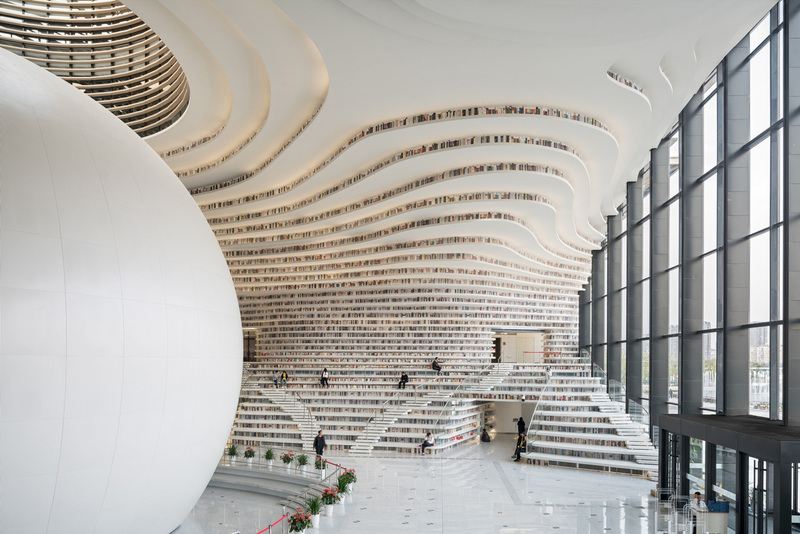 This futuristic library can be found in China’s northern coastal city of Tianjin, just outside of Beijing. Adelaide’s unique Victorian library opened in 1884. Mortlock Chamber is rich in Australian history and decorated with giant wood carvings. Inside, you can find original furniture from when it first opened. 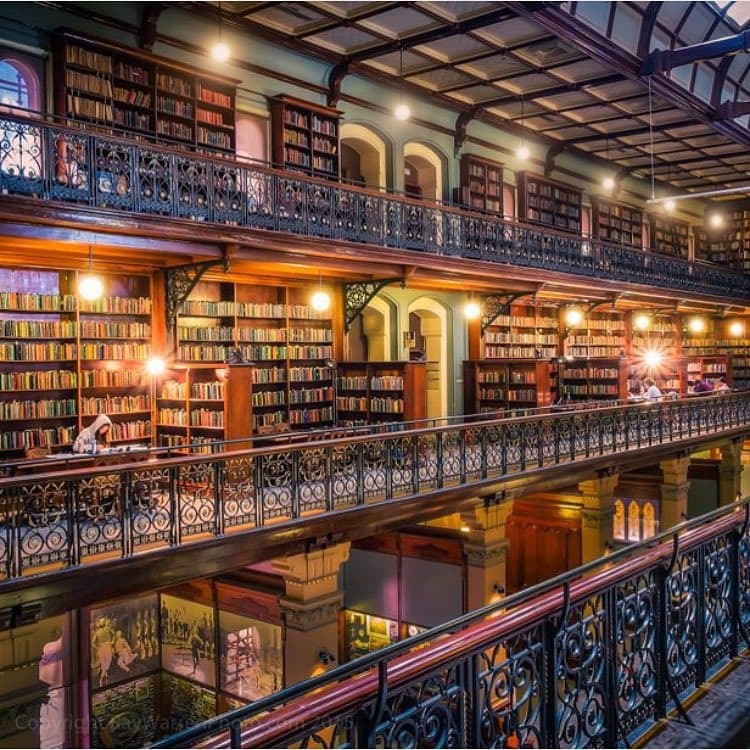 The library original only held 23,000 books in the Mortlock Wing and employed only 3 librarians. However, in modern times, the library has expanded to add a further two buildings. Recently, the visually stunning library has also become a popular venue for weddings too. 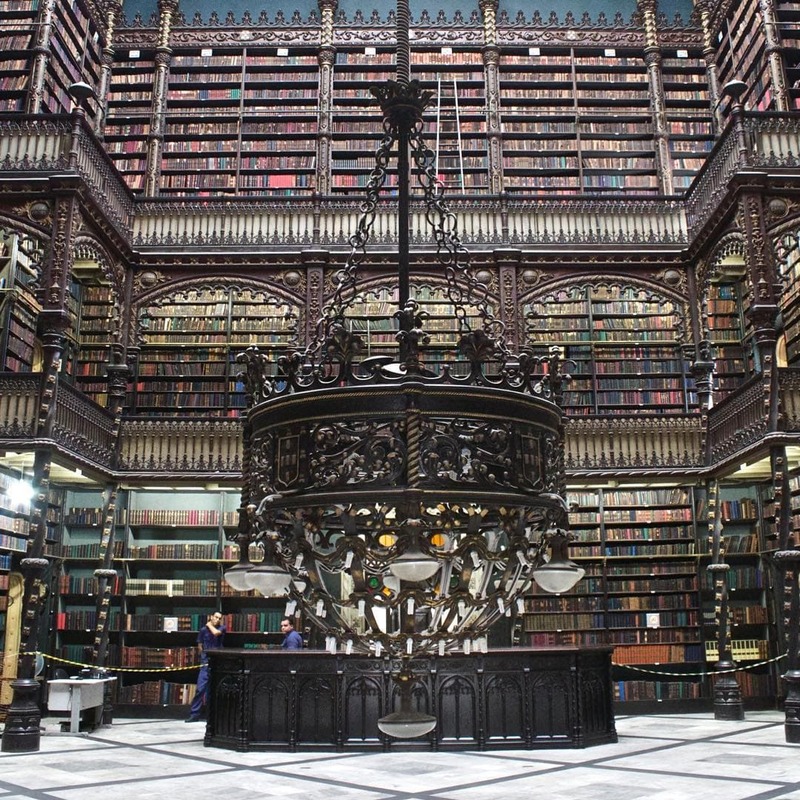 A hidden gem in the city centre of Rio De Janeiro, The Royal Portuguese Reading Room oozes beauty, architecture and culture. A must visit if you’re travelling through the capital as it is often overlooked by tourists. The library was constructed in 1880 by Portuguese architect Rafael de Silva. The most magnificent part of the library is The Inner Reading Room, which is beautifully decorated with wooden bookcases and an impressive stained glass dome ceiling. 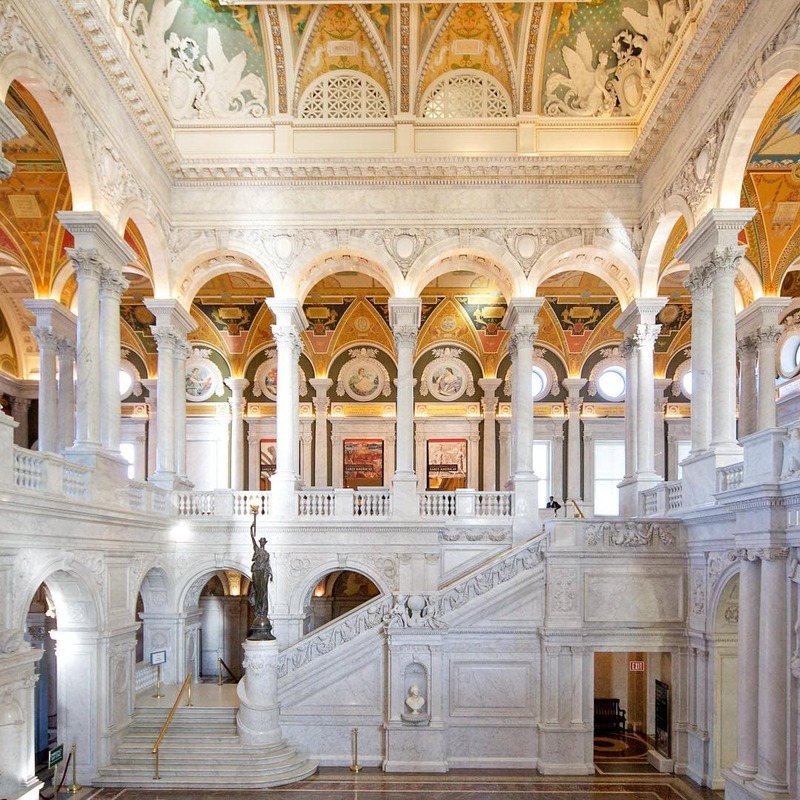 The impressive Library of Congress stands in America’s capital city of Washington. The library is the nations oldest cultural Institution, being founded in 1880. An architectural wonder, the Library of Congress claims the honour or being the largest library in the world too, housing over 162 million items on over 800 miles of bookshelves! The main attraction of the library is the two notable bibles on display in the Great Hall. The handwritten Giant Bible of Mainz and the printed Gutenberg Bible. Both were produced in the mid-1450s. If you’re travelling to Washington, don’t miss out on this fascinating experience. 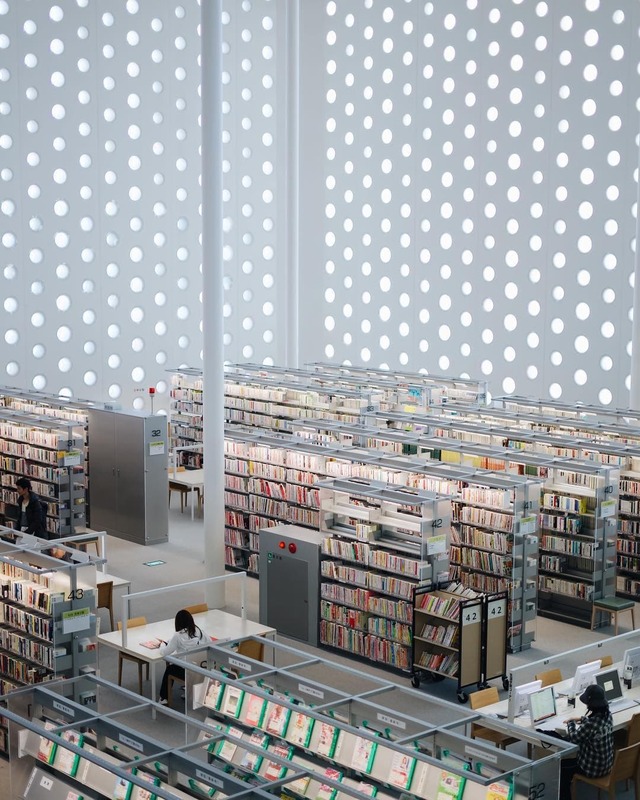 The best part of the Kanazawa Umimirai Library are the 6,000 round windows letting natural light pour into the building. The library holds a reading room that resembles a forest, where book lovers can enjoy reading their favourite read with a soft light and a feeling of openness. The library is located 20 minutes drive from the city of Kanazawa in Ishikawa prefecture, located on the Sea of Japan Coast. Completed in 2011, the impressive library was swiftly honoured with the Chubu Architecture Award in 2012. 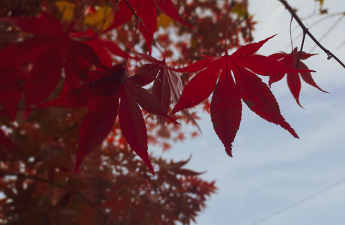 Heading to Japan? 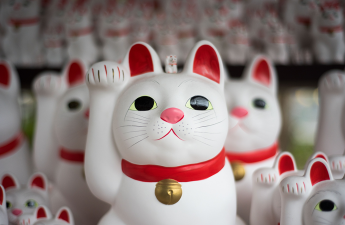 Make sure to check out our blog post on 5 of Japan’s Craziest Festivals You Have to Experience! 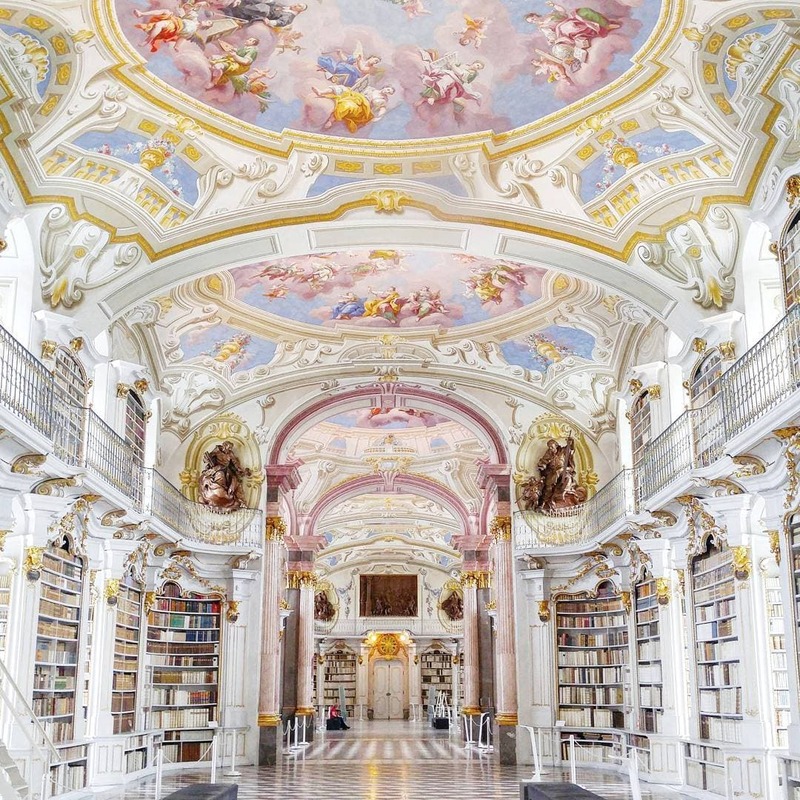 Holding the title of the largest monastic library in the world is the Admont Library in Austria. The magnificent library was completed in 1776 and its collection comprises of some 200,000 volumes and 1,400 manuscripts that date back to the 8th century. Architecturally stunning, the library boasts a 230-foot long hall with ceilings painted by the renowned artist Bartolomeo Altomonte. The library is situated on the Enns River in southeast Austria and should not be missed if you’re in the area. 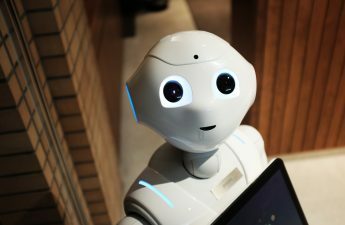 Don’t forget to use Hanna, your personal travel assistant. Chat with me on messenger now!